Martin King, technical lead at Casual Arts, explains how life has changed for the team since their winning the UK Developer Spotlight (an indie featuring initiative on Amazon Appstore). Casual Arts specialise in hidden object games. James Turner is the chief executive of Two Way Media, a London-based games developer that has created hundreds of games for TV games systems, releasing over a dozen of them onto Amazon Appstore and Amazon Fire TV. In this interview, Albert and Ian share their motivations behind creating their popular games, including the latest, QuizTix: Animal Pics, and how both Amazon Appstore and Amazon Fire TV have featured heavily in its success so far. Kevin Deakin is the founder and chief executive of Musicplode Media Ltd, the people behind music gamification app Beat the Intro. Kevin managed to develop a successful app in 18 months and discusses the role that Amazon has played to their business growth and future opportunities. The UK has long been recognised as a hotbed of tech talent – just take a look at some of the innovative start-ups launching at Silicon Roundabout and elsewhere in the country. But no matter how talented the individual, it can be next to impossible to get noticed without the right platform. 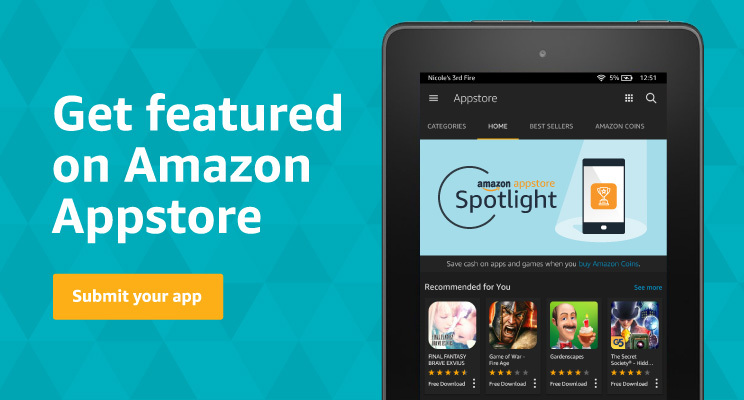 We believe skilled people deserve to be given the opportunity to showcase their offering, which is where the Amazon UK Developer Spotlight initiative comes in. Terrestrial TV broadcaster STV shares how they created STV Player for Fire TV, the challenges they faced, and what the future holds. The media landscape has undergone momentous changes since The Economist first rolled off the printing presses in 1843. This weekly newspaper has had a web presence for ten years, but recently direct competitors and social networks have begun to vie for a slice of their readers’ time. The Economist had to react. You’ve had the great idea and managed to get the time and money together to build a technically robust game - definitely a challenge whether you’re an indie developer or part of a bigger studio. Now you’re faced with perhaps an even bigger challenge: how can you get your game in front of the right audience?